Born in Teoc, Carroll County, Mississippi on July 3, 1893, and raised in Avalon, Mississippi. John Smith Hurt, (better known as Mississippi John Hurt) taught himself to play guitar at the age of nine, stealthily playing the guitar of a friend of his mother’s, who often stayed at the Hurt home while courting a woman who lived nearby. As a youth he played old-time music for friends and at dances. He worked as a farmhand into the 1920s. His fast, highly syncopated style of playing was meant for dancing. On occasion, a medicine show would come through the area, and Hurt recalled that one of them wanted to hire him: “One of them wanted me, but I said no because I just never wanted to get away from home.”In 1923 he played with the fiddle player Willie Narmour as a substitute for Narmour’s regular partner, Shell Smith. Hurt attempted further negotiations with Okeh to record again, but his records were commercial failures. Okeh went out of business during the Great Depression, and Hurt returned to Avalon and obscurity, working as a sharecropper and playing at local parties and dances. Avalon, my home town, always on my mind / Avalon, my home town. While in Avalon, Hoskins persuaded an apprehensive Hurt to perform several songs for him, to ensure that he was genuine. Hoskins was convinced and, seeing that Hurt’s guitar playing skills were still intact, encouraged him to move to Washington, D.C., and perform for a broader audience. His performance at the 1963 Newport Folk Festival caused his star to rise in the folk revival occurring at that time. He performed extensively at colleges, concert halls, and coffeehouses and appeared on The Tonight Show Starring Johnny Carson. He also recorded three albums for Vanguard Records. Much of his repertoire was also recorded for the Library of Congress. His fans particularly liked the ragtime songs “Salty Dog” and “Candy Man” and the blues ballads “Spike Driver Blues” (a variant of “John Henry”) and “Frankie”. Hurt’s influence spanned several music genres, including blues, spirituals, country, bluegrass, folk, and contemporary rock and roll. A soft-spoken man, his nature was reflected in the work, which consisted of a mellow mix of country, blues, and old-time music. Hurt died on November 2, 1966, of a heart attack, in Avalon, according to the liner notes included with his Live album. 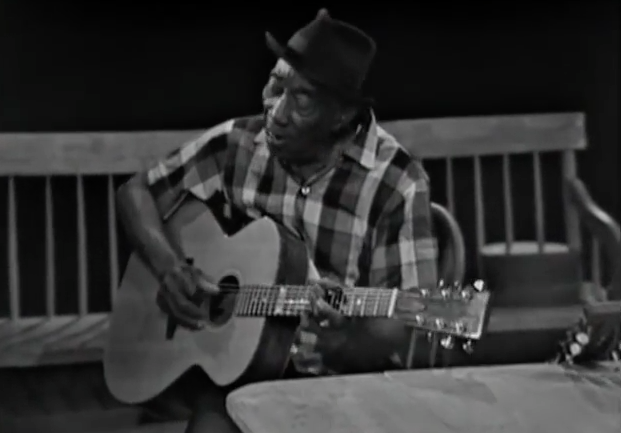 In the video clips below, see Mississippi John Hurt’s 1965 appearance on Rainbow Quest. A U.S. television series devoted to folk music and hosted by Pete Seeger.